JMP Productions is proud to announce the production of “A MIRACLE IN THE MAKING”. 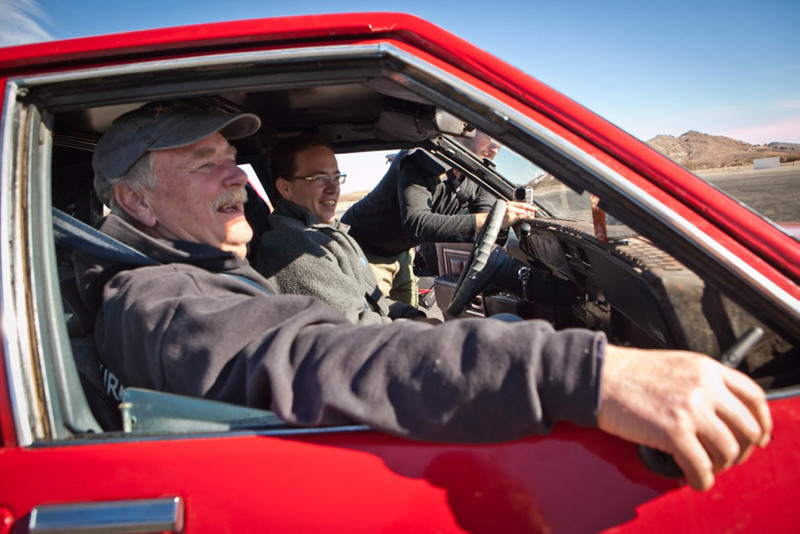 A true story of a Traumatic Brain recovery… learning to DRIVE. WILLOW SPRINGS RACEWAY, ROSAMOND, CA – DECEMBER 10, 2013 – Hollywood Stunt Driving Legend Rick Seaman has partnered with Producer Julie Michaels/JMP Productions Inc. to help veterans and other victims of Traumatic Brain Injuries (TBIs) rediscover their independence and overcome their fears by giving them back the ability and freedom of driving. As a Vietnam Vet, Seaman has always been passionate about helping fellow veterans. “In recent years, I have spoken with numerous experts in the field of TBI, particularly those who are aiding returning veterans of the Iraq and Afghanistan wars where TBI has become the ʻsignature woundʼ,” said Seaman. This understanding has helped Seaman develop teaching methods that are unique to each studentʼs learning abilities with a 99% success rate. Currently, Seaman is training 34-year-old Michigan native Chris Cochran. While Cochran is not a veteran, he is the perfect candidate to support Seamanʼs theories and teaching methods, paving the way for veterans. Cochran suffered a TBI at the age of 17 and has been in rehab for the last fifteen years. “I love producing stories like this,” said Michaels, “Especially when the story brings me to tears and has the potential of ʻA Miracle in the Makingʼ.” Both Seaman and Michaels hope that by sharing Cochranʼs brave story, it will encourage family members supporting those with TBIs and other TBI victims to see that much more is possible than previously predicted. “Every member of this production team has waived compensation because we all care about getting this story told,” shared Michaels. Seaman will be working with Cochran over a three day period pro bono and the famous Willow Springs Race Track has been donated as well. To Seaman and Michaels, itʼs a seemingly impossible task, but both are excited at the possibilities and what it could mean to so many people. 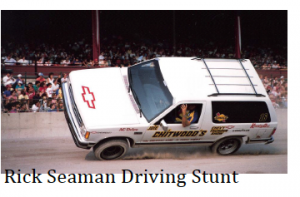 For more information on Rick Seaman visit rickseamanstuntdrivingschool.com. For more information on this project contact JMP Productions at 818-567-1377 www.jmpproductionsinc.com.